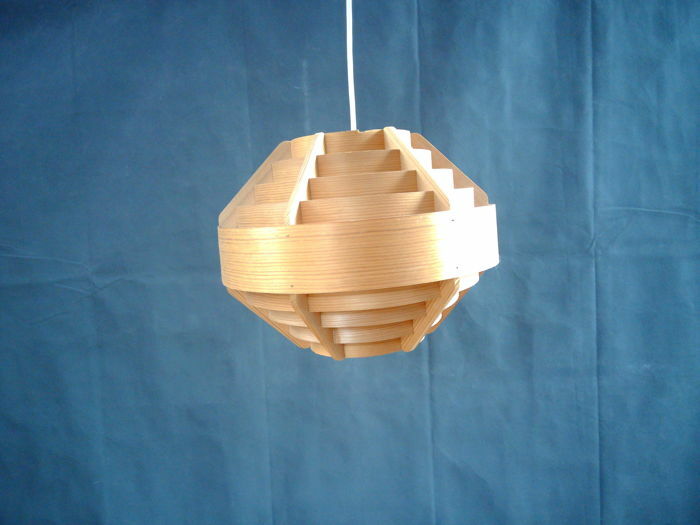 A small pendant light made of pine veneers shavings. 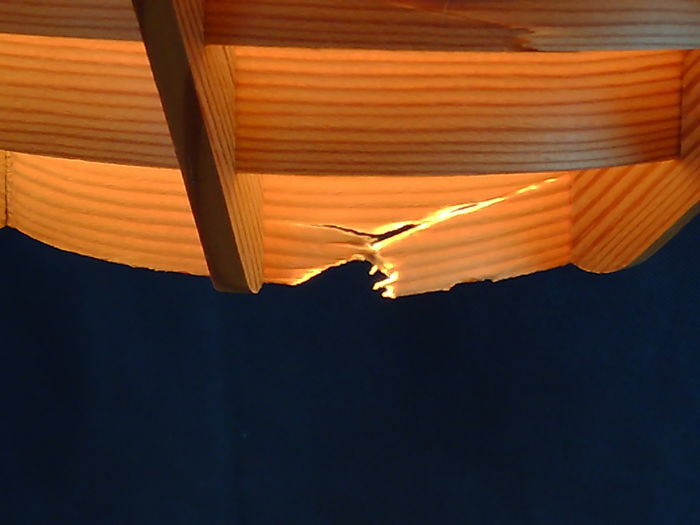 The lamp have small chips and bits of the fragile veneer missing, but it is still attractive and decorative. Please see pictures as part of the description. 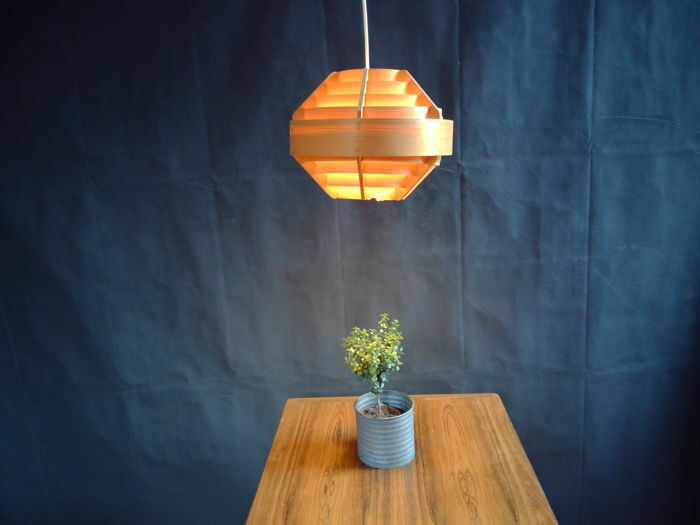 The lamp is small enough to fit into a window as well as a free hanging pendant. 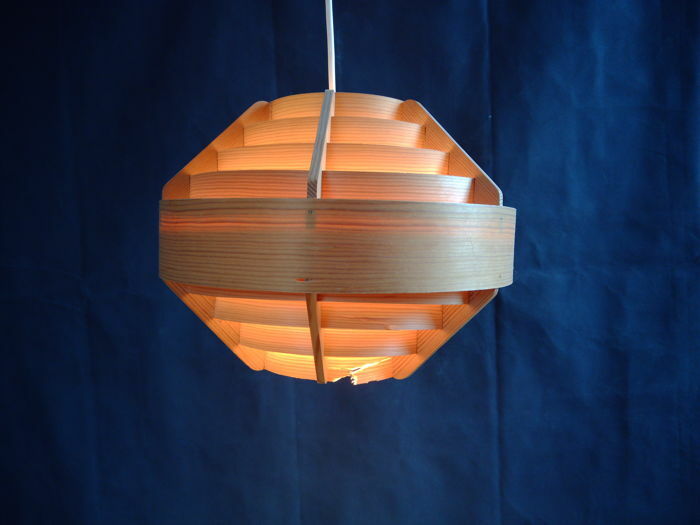 Hans-Agne Jakobsson originally came up with this kind of lamps out of necessity when he one day needed to shade a bright lamp in his studio and took whatever he had laying around, pieces of veneer. 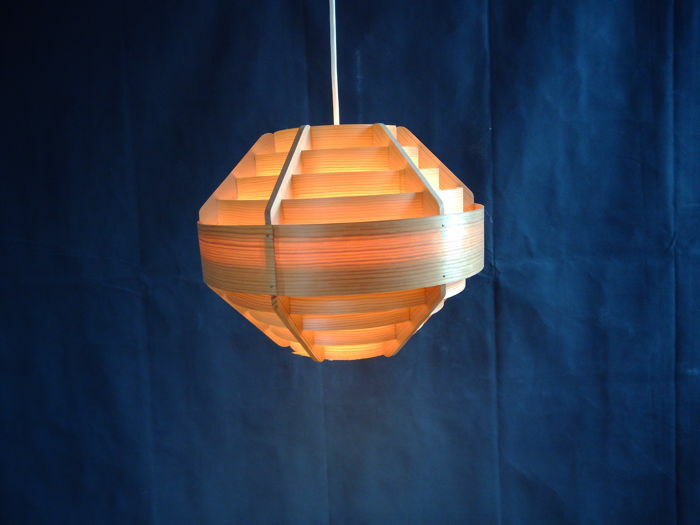 A customer walked in to his studio, saw the makeshift lamp and instant success. 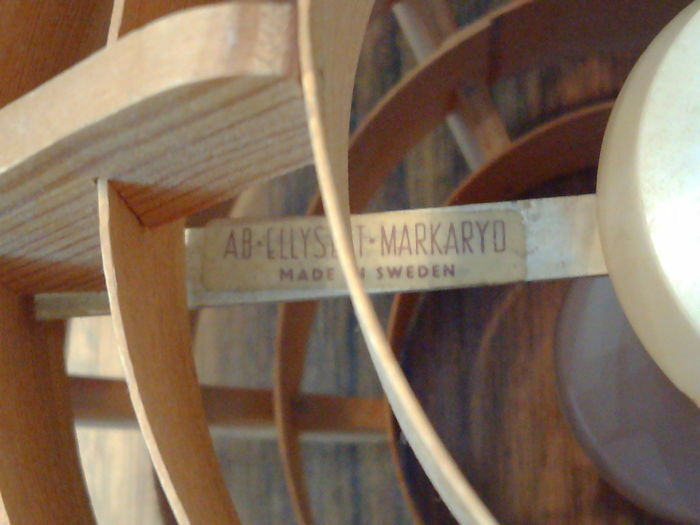 Hans-Agne made several varieties of the lamp to his company Elyssett AB and sold by IKEA in the 1960's and into the '70s..
Rug in excellent condition! Very good contact with seller and quick replies. Quick delivery and very well packaged shipment! Good seller, small problem but good respons from the seller. Very kind and helpful seller. El pedido llegó en buen estado y bien envasado. y era tal como lo describia. Todo correcto. Gracias. Item 100% OK, very fast shipment , I am happy !!!! 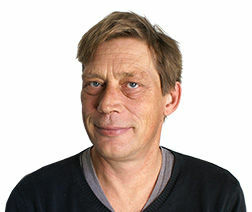 Nette en verzorgde zending goed ontvangen.